Elon Musk’s decision to tweet that he was considering taking Tesla private reportedly caught the company’s own board of directors off-guard, The New York Times reported Monday night. 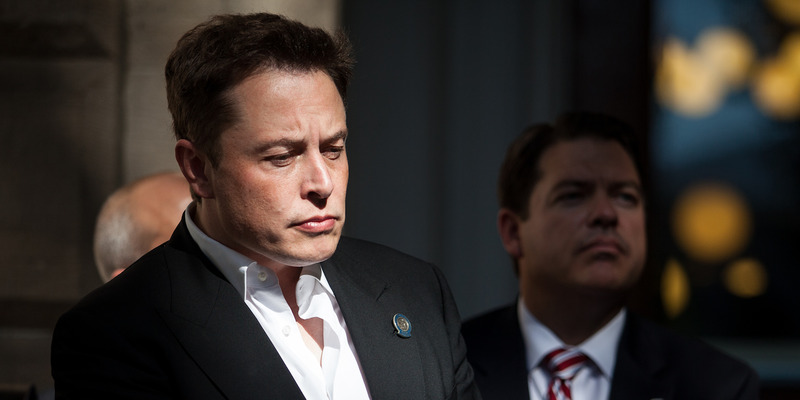 That August 7 tweet caused Tesla’s stock to skyrocket to $US380 per share that day. In the days that followed, the SEC got involved, reportedly investigating Musk’s online musings about taking the company private. Elon Musk’s decision to tweet that he was considering taking Tesla private reportedly caught some of the company’s own board directors off guard, The New York Times reported on Monday. The decision to announce the plan, which Musk has since expanded upon, via Twitter “had not been cleared ahead of time with the company’s board,” The Times wrote. The Securities and Exchange Commission has inquired about Musk’s claims, which, if found to be untrue, could cause greater problems for Tesla chief executive.